"More and more, great ore deposits are being found under cover and knowledge of exploration geophysics provides a distinct advantage in their discovery. Dentith and Mudge provide a clear, comprehensive, up to date, and (very significantly) applied approach for the general geologist, demonstrating how to locate concealed orebodies by employing modern-day geophysical techniques." "Readers will really appreciate the up-to-date system descriptions, examples and case histories presented … In particular, the diagrams in this textbook are superb; the explanatory diagrams have been drawn professionally and the geophysical data and images are shown in full colour." "There are few books for browsing and those worthy of purchase - for anyone in mineral exploration and interested in getting a better sense of what those geophysical anomalies and images are all about, this is definitely one to buy." 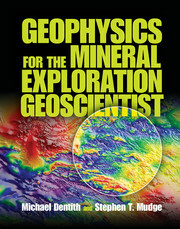 "Dentith and Mudge have written the book so exploration geologists can learn what they need to know, and perhaps more importantly what they need to ask, about geophysical techniques and interpretation, with the reader benefiting from the enormous collective experience and knowledge of the authors, digested into a series of clear practical do's and don'ts. This is very much a practical book, written for the practising exploration geologist … I also particularly like the use of summaries at the end of sections and chapters, which allowed me to pull together the key take-home messages … This is a beautifully illustrated text that covers geophysical data use all the way from introductory concepts through to visualisation and interpretation pitfalls … I see this book as essential reading for all exploration geologists, especially those who don't have their 'junior geophysics scout badge'." 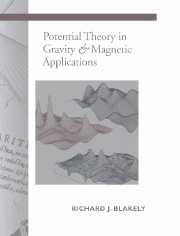 "… this is an excellent book which will likely become a landmark reference. With its large double-column format, it contains much more than the page count might suggest and is truly impressive in the range of topics covered. The organization, presentation, and writing style are all top-notch, and the authors' decades of experience clearly show through. Highly recommended." "… in addition to elaborating on the pitfalls and limitations of each method, Dentith and Mudge place much more emphasis on both the variations of physical properties within the geologic environment and data interpretation. These differences alone separate this textbook from other geophysical exploration textbooks and make it of greater value to the geoscientist who typically does not think about the geologic environment in terms of physical properties." "[This] book is highly recommended and a great addition to a personal library. Let's hope that the extra insights it provides to geophysical exploration will contribute towards future mineral discoveries." "The authors are to be complimented for having produced this well-written book. The organisation of the book is very good and easy to follow, and the data are clearly presented, and as a geoscientist with only a basic knowledge of geophysics, I am pleased to recommend this book as a 'must-read' for all geoscientists." There’s been a need for a modern mining geophysics book for some time and this book doesnt disappoint. It is particularly suitable for industry professionals who are using geophysical data in mineral exploration. The presentation is excellent and there are plenty of useful examples. This is a book written by practitioners for practitioners. Highly recommended! 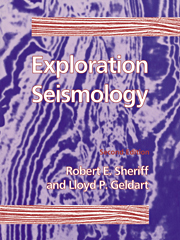 This is really a very complete and modern geophysics book specially suitable for professionals interested in geological exploration. The book is really complete, and from my point of view the best book actually in EM methods. As a geophysical practioner repsonsible for ensuring geoscientist from other disciplines are able to understand and integrate geophysical data into global exploration programs this book is indispensible! 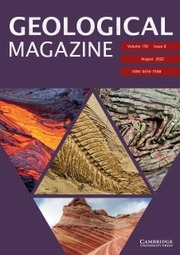 The authors have distilled the key exploration impacts and considerations around applying common geophysical techniques in an manner which focusses on geological outcomes. Other geophysical textbooks are often unsuitable for general consumption due to the mathematially intimidating theoretical derivations which can cause none-geophysicist to feel the discipline is unknowable and black-box. This text should find a home in the library of all serious explorers whether student/graduate or exploration country manager. 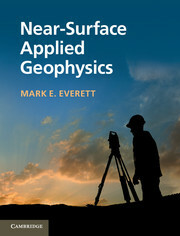 The book is great but not sure how locking the online resources so only teachers at institutions can access it benefits people like me, who purchased the hardback copy and now wants to use the figures to push for more geophysics in industry capacity. Appendix 7. Sources of information on exploration and mining geophysics. Mike Dentith is Professor of Geophysics at the University of Western Australia. He has been an active researcher and teacher of university level applied geophysics and geology for more than 20 years, and he also consults to the minerals industry. Professor Dentith's research interests include geophysical signatures of mineral deposits (about which he has edited two books), petrophysics and terrain scale analysis for exploration targeting using geophysical data. He is a member of the American Geophysical Union, Australian Society of Exploration Geophysicists, Society of Exploration Geophysicists and Geological Society of Australia. Stephen T. Mudge has worked as an exploration geophysicist in Australia for more than 35 years, and currently works as a consultant in his own company Vector Research. He has worked in many parts of the world and has participated in a number of new mineral discoveries. Mr Mudge has a keen interest in data processing techniques for mineral discovery and has produced several publications reporting new developments. He is a member of the Australasian Institute of Mining and Metallurgy, Australian Institute of Geoscientists, Australian Society of Exploration Geophysicists, Society of Exploration Geophysicists and European Association of Engineers and Geoscientists.